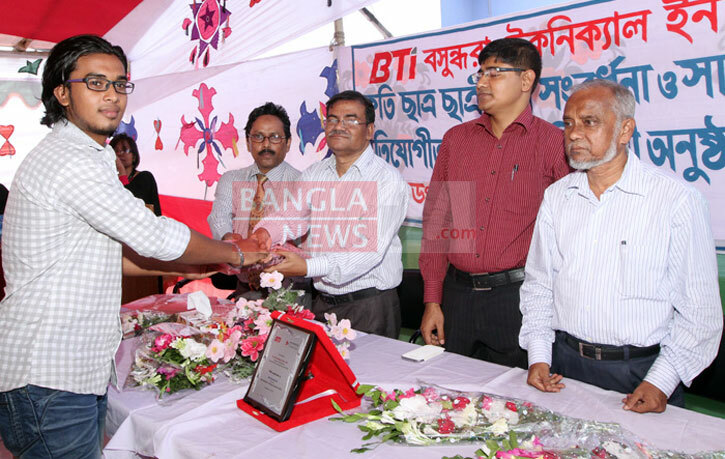 DHAKA: Dr Rafiqul Islam, Controller of Examinations, Bangladesh Technical Education Board (BTEB) on Saturday said Bashundhara Technical Institute (BTI) would be a role model in the near future. The educator came up with the observation while addressing a programme held at the institute. Praising the organization, he said time would come when elite class people of the country even ministers would recommend students taking admission in the institute. Mentioning Indian institutes, he said the BIT has the aptitudes to be in first row in technical education. Dr Rafiqul further said Bashundhara Group is a renowned organization and their quality of service would be up to the mark. With Principal of the BTI Mujahid Ali in the chair, the function was also addressed, among others, by General Manager (Accounts & Finance) of Bashundhara Group Mahbub Alam, General Manager of Bashundhara Foundation Nawsherul Alam and Senior (Accounts & Finance) Sultan Mahmud. A total of 24 top ranked students were given reception and scholarships. At present, around 250 students are studying in different courses in the institute and after completing study the students can commence their career with Bashundhara Group.